Prompted by its experience in the war with Iraq in the 1980s, Iran actively pursued a ballistic missile arsenal that had greater precision and accuracy. 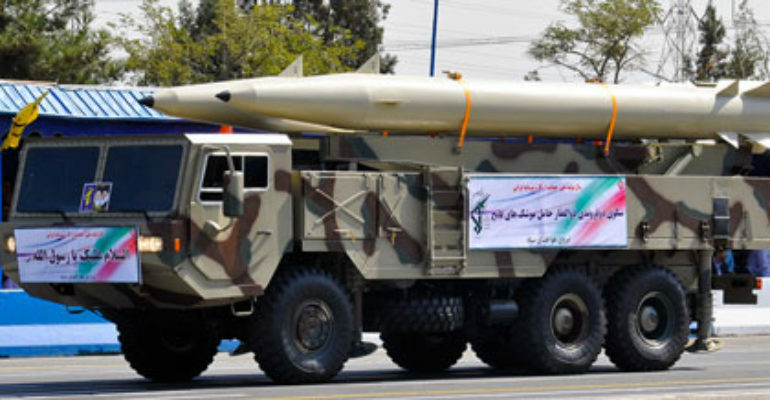 As part of this effort, Iran began developing the Fateh-110 in 1995. The Fateh-110 is a solid fueled short range ballistic missile. The missile is also capable of carrying nuclear or biological warheads. As a road mobile system, the Fateh-110 series can be launched from any location. Iran developed four variations of the Fateh-110. Iran has yet to use the Fateh-110 in combat; however, Iran is engaged in transferring Fateh-110 missiles to Syria and Hezbollah. According to U.S. military officials, Syria fired at least two Fateh-110s against Syrian rebels in 2012. U.S. military officials also noted that Syria has been using Fateh-110s as an alternative to aircraft, which are more easily shot down by Syrian rebels. In addition, Hezbollah in Lebanon is believed to have a stockpile of the Iranian Fateh-110. Western officials say that if Hezbollah fired these missiles from southern Lebanon, they could easily reach Tel Aviv, Israel’s second most populous city. Given its proliferation and capabilities, the Fateh-110 poses a broad regional threat, holding at risk population centers near the borders of Syria, Lebanon, and Iran. NTI: Nuclear Threat Initiative. “Iran | Country Profiles | NTI.” Last modified December, 2013.http://www.nti.org/country-profiles/iran/. Missile Threat. “Fateh A-110.” Last modified September 27, 2012. http://missilethreat.com/missiles/fateh-a-110/. Global military army magazine defence security industry technology news exhibition world land forces – Army Recognition. “Fateh-110 Fateh Fatah A-110 short range ground-to-air ballistic missile technical data sheet – Army Recognition – Army Recognition.” Accessed April 1, 2014.http://www.armyrecognition.com/iran_iranian_army_missile_systems_vehicles_uk/fateh_fatah_a-110_short_range_ground-to-air_ballistic_missile_technical_data_sheet_specifications_.html. Press TV. “PressTV – Iran successfully test-fires 4th generation of Fateh 110 precision missile.” Accessed April 1, 2014. http://www.presstv.com/detail/2012/08/04/254358/iran-testfires-fateh-110-precision-missile/. Barbara, Starr. “U.S. officials: Syria using more accurate, Iranian-made missiles.” CNN (Washington, D.C.), December 28, 2012. Accessed April 1, 2012. http://edition.cnn.com/2012/12/28/world/meast/syria-missiles. Maya, Shwayder. “What Was Israel Bombing? 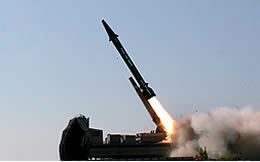 Iranian Fateh-110 Missiles That Can Hit Tel Aviv.” International Business Times, May 6, 2013. Accessed April 1, 2014. http://http://www.ibtimes.com/what-was-israel-bombing-iranian-fateh-110-missiles-can-hit-tel-aviv-1238823. Adamczyk, Ed. “Iran Test-Fires Missiles, Harasses U.S., British Ships in Strait of Hormuz.” UPI, UPI, 7 Mar. 2017, www.upi.com/Iran-test-fires-missiles-harasses-US-British-ships-in-Strait-of-Hormuz/9101488887721/.